I like unusual things in Magic. I will sign up for most any tournament with an uncut foil sheet or an oversized card, or some other kooky thing. I admit, I’m a collector. I like having unusual and/or rare cards. Today I want to go over a few of the cards that have a lot more value than you might expect, for no other reason aside from people who want them. Let’s start with a big category. This is more than some random person who has a playset of German Lightning Bolt and likes to scream out, “Blitzschlag!” every time he casts one. It’s funny the first time, but not the twentieth. This is not a comprehensive list of all the cards that have amusing translations, but these are some of the more widely known. Taste varies widely on these, and prices can too. There are specific cards that when translated into other languages make Magic players giggle. As you can imagine, foil versions of these can command quite a premium. The normal English version is $9, but unusually for Spanish, this one is more just because he’s fun to say, probably with an offensive and overstated accent. He’s also a great fit in any Dragon deck, as he can come down and just nuke a player. Vindicate is a card with an excellent history. It solves a very wide variety of problems, and for only three mana. This French version allows you to be more righteous at your table. Like Sarkhan, this is only a couple of bucks more. 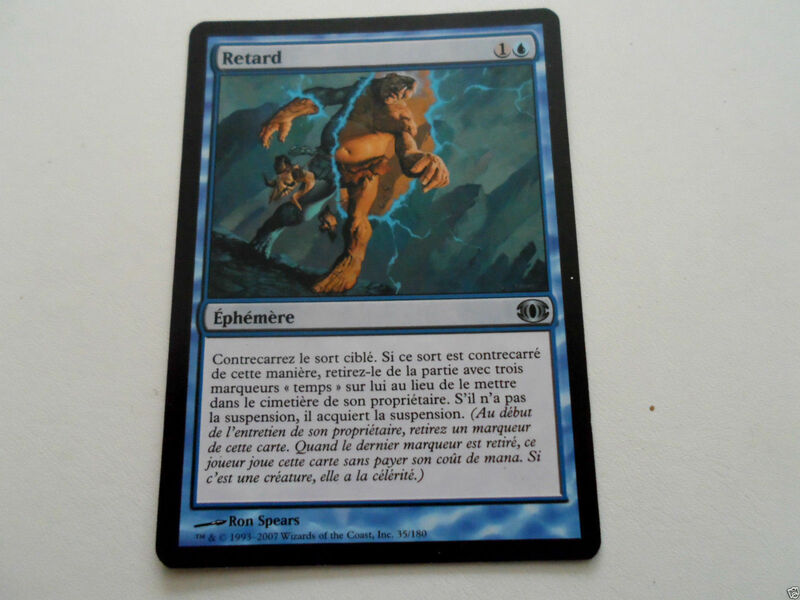 The French version of Delay, this is something to truly test the maturity level of the player who takes a look at the card and starts short laughing. Some people think that this is too offensive to be allowed around, but there are lots of others who think this is just fine and dandy. This refers to cards that have been caught in the process of sealing a booster pack, process, on the top or the bottom edge. This is sort of rare, and it’s very unusual to find more than the black border that has been crimped. Some people love these cards, others think they are insane. Totally up to the tastes of the buyer. Most stores regard these as damaged and worth less, but there are some folks who live for these mistakes. Also, keep in mind that some people are crimping their own cards in an attempt to add value. Everyone has something they like more. Again, this is a huge category and what people want can vary widely. There’s a whole spectrum on these, from slightly off-center cards to some that show parts of four different cards. A word of warning: There’s a surprising number of people who are willing to take an uncut sheet to a print shop and have the cards deliberately miscut. This leads to newer miscuts being a lot more prevalent than older ones. I don’t agree with this policy at all, as I’d rather have the sheet of cards from any set, but I’ll respect anyone willing to try and extract what value they can. Why am I mentioning a card worth a quarter? Because the foil version is about $6. 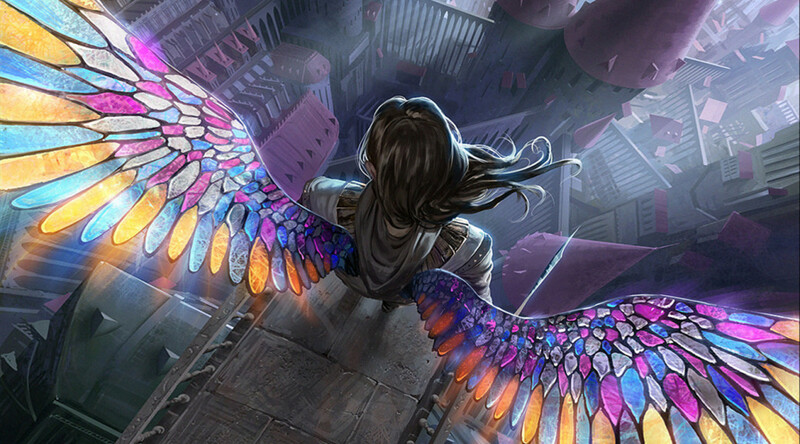 Johannes Voss does some gorgeous work on such a tiny space, especially the original Restoration Angel, and this stained-glass masterpiece looks exquisite in the shiny form. It’s not powerful, it’s not rare, it’s just wonderful to behold. 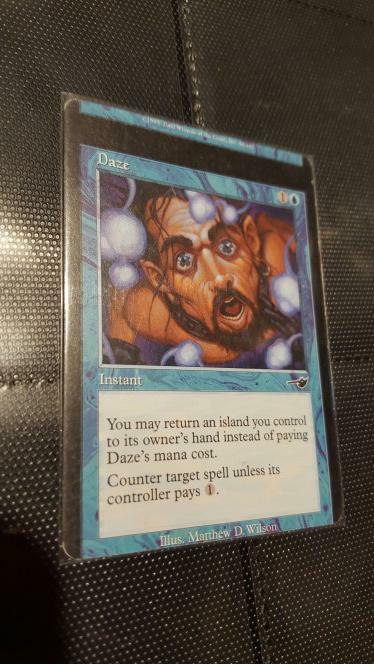 You may not know this, but the list of foil Unhinged cards has some jaw-dropping prices. 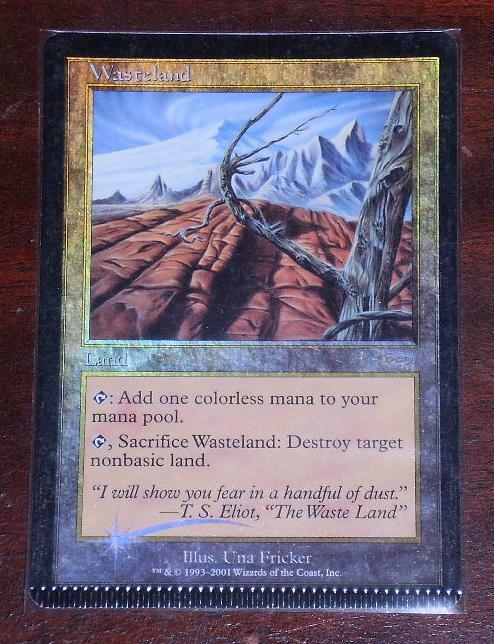 I bet you thought the lands were the top five, but the frame-defying cards of Richard Garfield, Ph.D. and Who/What/Where/When/Why make the top three. I admit, I thought Super Secret Tech would be much more expensive, and I certainly wasn’t expecting Blast from the Past to be $32 in foil. Little Girl, though…a foil common whose flavor text references incontinence, has climbed to $37. I admit it, I traded for one of these two years ago for about $25 in value, when my first daughter was born. That is the reason for this relatively kooky price. It’s literally a hundred times more expensive in foil than in nonfoil, because parents are suckers in all sorts of ways. 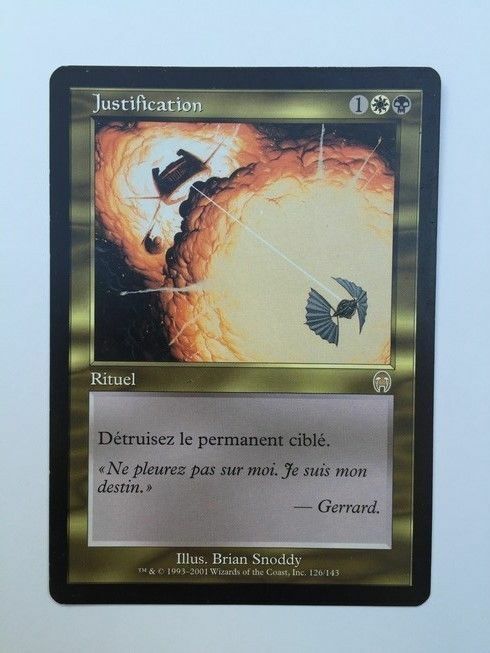 I’m finding it hard to place value on miscuts – I just bought a collection that came with some miscut cards and I want to sell them to recoup some of my purchase cost. They’re all common Ice Age cards, which makes me think they wouldn’t be really sought after. But 3 of them link up, in terms of the miscut, and 2 other ones link up in the same way. Just wondering if you have any thoughts? if you have connectors they can fetch a nice price. ice age has a lot of mis cut cards and others may have cards that connect to yours. there is a group for misprints and miscast on Facebook. you should post them there to get offers. If you have miscuts that line up horizontally or vertically, or both, I’d be sure to display them in the binder that way. Miscut cards of random older, not played commons will go for whatever people will pay on eBay. I’m not trying to be facetious; the value will vary widely. Collectors can be finicky and your best best is for two of them to get into a bidding war. and The Misprint Guy on YouTube. Keith has tons of info on channel. Had no idea crimped cards were a thing. I got a box of Japanese M15 and quite a few cards were crimped. I was actually kind of upset when I saw it because I was like “What is this garbage?” Now I think I will dig them up to see if I can unload them. It wasn’t just one pack either, it was like the entire box was jacked. what a great article! I would love to see some more in-depth data on miscuts, as a function of time, as a function of miscut. this type of value is so hard to predict: it’s way more psychological than even normal magic prices. I have been saving all miscuts and other misprints that pass through my possession, but I have not considered buying into some of these. It takes a specialized collector indeed. Buying in might not cost you much, depending on the cards. No mention of Athreos, Gott der Überfahrt? Everyone loves an uberfart. I thought about mentioning lots of cards. Übermyr (German Myr Superion) is a real winner too, and I am still seeking a Desolation (French Badlands). I wasn’t trying to make this a comprehensive list, but thanks for chiming in! Spanish Inquisition of Kozilek are also crazy expensive.